Handing out a business card is often the first impression people take of your business, so you need to get it right. 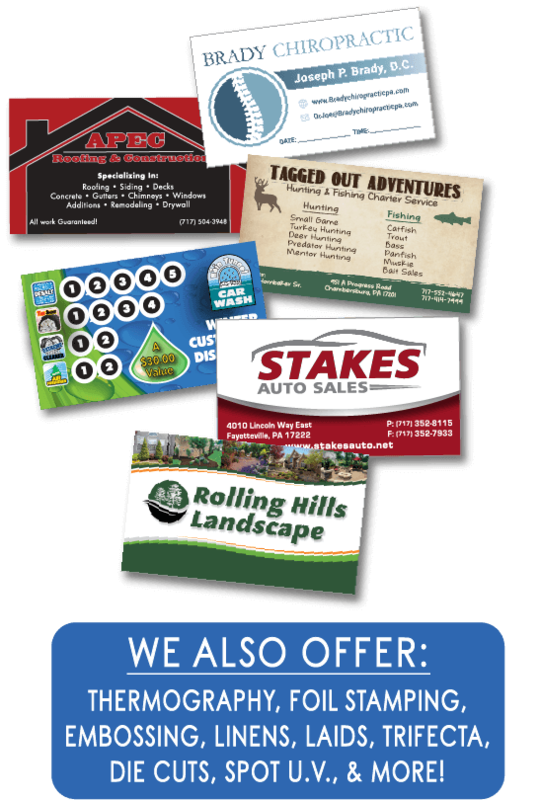 Business cards are your cheapest and most cost effective form of marketing you can invest in. 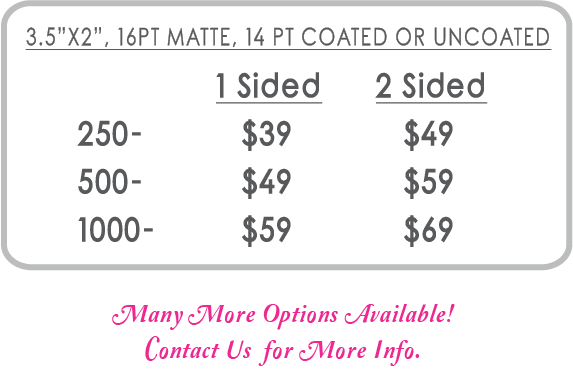 Our standard card is 3.5”x 2” and is available on a 14pt coated with UV laminate, a 14pt uncoated, or a 16pt Matte with a dull finish.